SJP | Nyc Fit Food Fashion! Good Morning Fashion Lovers! This past Friday February 28th, I had the opportunity to scratch an item off of my NYC bucket list. 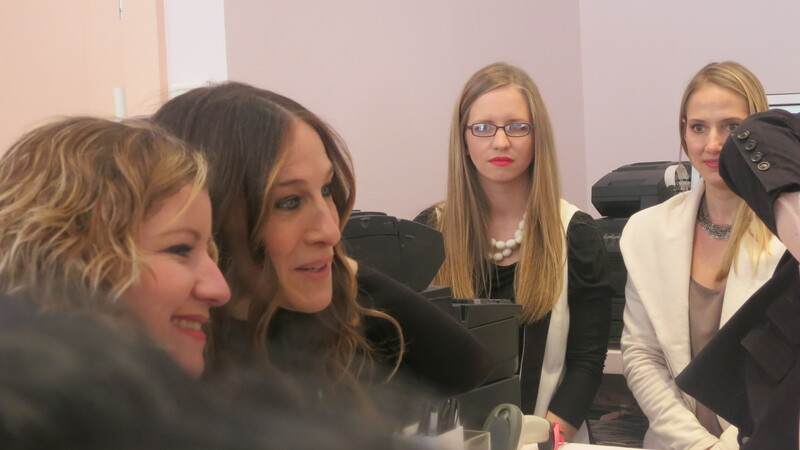 What NYC gal does not want to meet the Queen of Shoes Ms. Sarah Jessica Parker. I have been eagerly counting down the days and praying that I was not disappointed. I am sure we have all experienced that awful feeling when we have someone built up so high there is no way for them to live up to it. Well I am glad to say this was not the case and the shoes were fantastic as well. The polar vortex had returned but I was determined that even in my 36th week of pregnancy I was meeting SJP and getting a new pair of shoes at the same time. The -22 temperatures were not going to stop me from waiting in line, no matter how long I had to wait. I arrived and the line was long but not to long to scare me off. The best part of waiting in line was that the great people of Nordstrom were giving out yummy hot chocolate and coffee. I had 2 cups of hot chocolate in the first 15 minutes I was in line. After that I decided to wait because I knew my pregnant bladder would not handle much more and I was not losing my position in line to go find a washroom. While waiting in line I met some SJP fans and caught a glimpse of her through the windows, which made the wait a little more bearable. After a little over an hour of waiting I finally entered the pop up shop. The shop was gorgeous, very simple decor to show off the fabulous shoes and bags. There were so many happy shoppers there trying on the gorgeous pairs of heels. I was definitely in my element, then I spotted her surrounded by adoring fans. I took a few photos and then as soon as I unzipped my coat and my huge baby bump was exposed Sarah Jessica noticed me! She immediately sprang to my side, took my coat, handbag, found me a seat and offered me a hot drink since I had been outside so long in my condition. I was shocked my her genuine concern, this lady is a real class act. I reassured her that I was fine but what I really needed was some brand new shoes. She asked me what I had in mind and we went from there. Sarah Jessica made a few suggestions called over one of the sales girls and told them all the shoes that she thought would suit me. I could not have imagined her being so sweet and friendly. She made sure I was all set up and then went to go greet some other people before she left she assured me that she would return to see how I was making out. I was able to search out some photos of this meeting since I could not take pictures of myself! I thank god for Instagram and the fans out there that were snapping shots and posting them that day. Seriously how great is that? What can I say about the shoes? I loved all of them and I think I tried on about 90% of the styles. Being in my 9th month of pregnancy my feet are a little wider than normal. With that in mind I did find a few of the styles a little narrow for my wide pregnant lady foot! I was torn between a few style Carrie, Ina, Bobbie and Diana. Carrie is a classic strappy heel and I loved the purple color but since it was cutting into my wide foot I decided against it but may change my mind in the future. Bobbie was a gorgeous shoe and I really considered getting her but it was not quite it. Bobbie is a great summer heel and came in mint and coral. Once again I am sure I will change my mind and try to find this shoe later on after the baby is born. Diana is such a classic patent leather mary jane styled show. It was soooo flattering it cut just in the right spot so that it did not make your legs look shorter like a lot of mary jane style do. I decided to go with the beautiful jade colored Ina. This shoe is incredibly comfortable and a real shoe stopper in person. I was also on the hunt for a more casual sandal that I could rock while walking with my stroller this summer. I tried a couple but fell in love with the simple Wallace style and it came in my favorite leopard print. I was sold! Not the most flattering shot of me but it is one I will cherish! 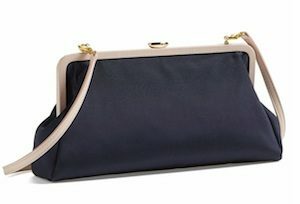 Have you checked out the SJP Collection from Nordstrom yet? Happy Monday Fashionista’s! I know this one is late but here is the fashion quote of the week. I love SJP. She has always been one of my favorite fashion icons. This woman has style. Do you dress for the cold or dress the way you want to dress? I love love love love love SJP!! Did I mention I love her! Ok I do not think I have ever been so excited for a shoe launch in my life. I have seen the line on SJP Shoes instagram and it is fantastic. The main problem will be what can I buy and afford because I want them all!! One of my all time favorite women is Sarah Jessica Parker. I may not agree with some of her wardrobe choices, Sarah Jessica always wears everything with confidence. I love that about her! Living in NYC how could I not pay homage to the quintessential New York City Gal.